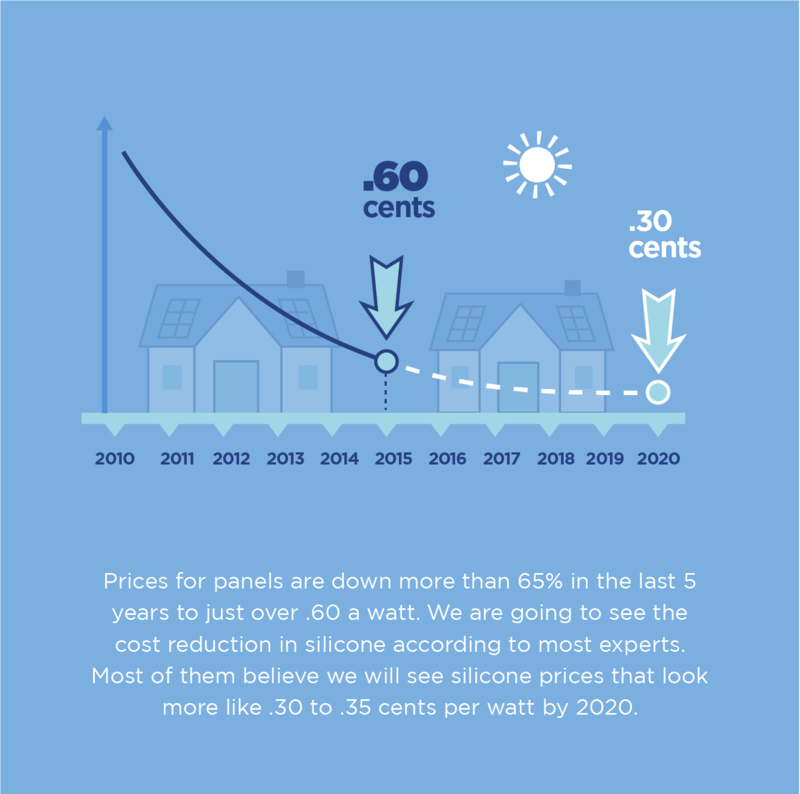 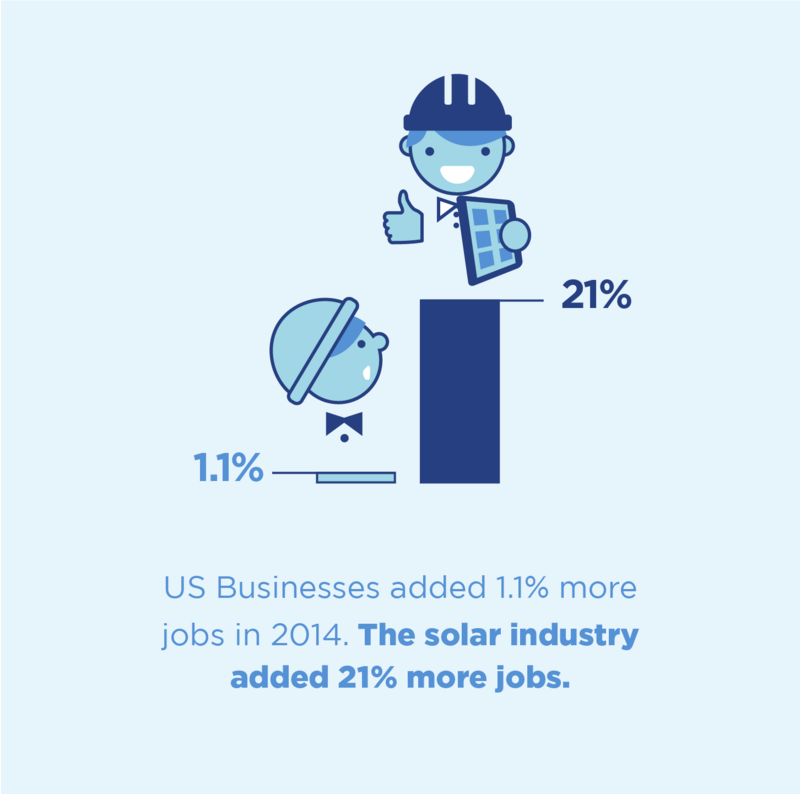 Renew asked us to create an infographic for them, discussing the rise in solar energy. 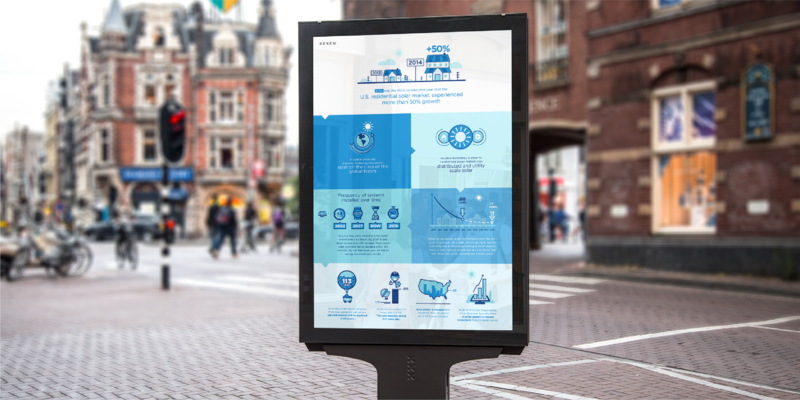 We received a bulleted list of their content points, and created a visually engaging and informative infographic. 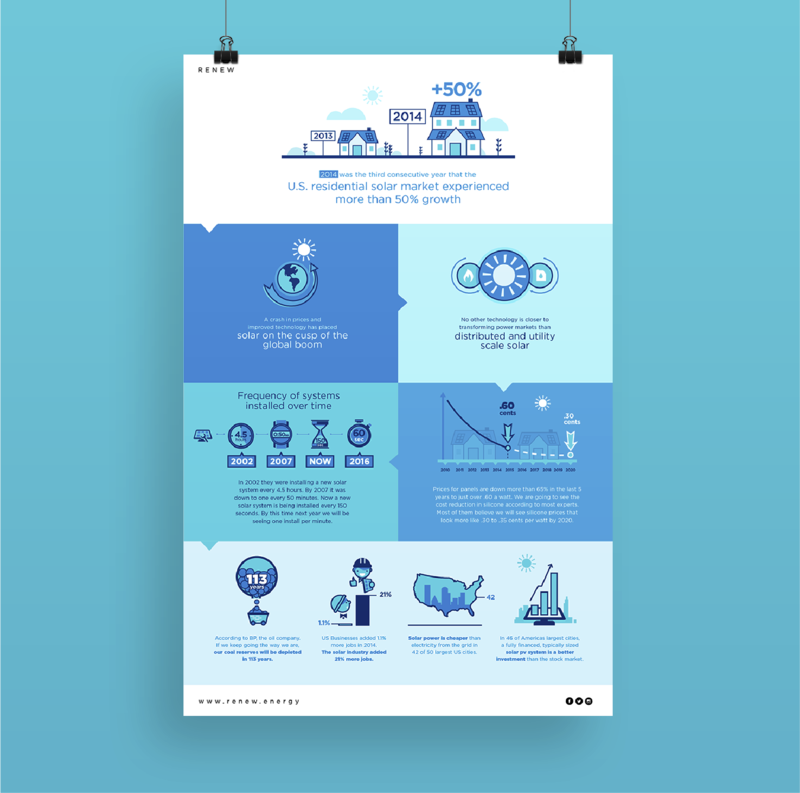 We developed a clean, monochromatic design featuring playful flat illustrations that directly support the content.